Erin Urban, Career growth & leadership development coach, author and speaker focused on lifting others up into powerful positive transformations. We can be a culture of comparison and a culture of acquisition. We constantly seek the newest, best rated, most popular and ‘cool’ things in life. We have expectations to meet. Expectations from ourselves, our parents and our friends. We think by meeting these expectations, acquiring the newest and the best we are obtaining success. That’s where the trouble begins. You cannot acquire success because success is entirely in your own mind. 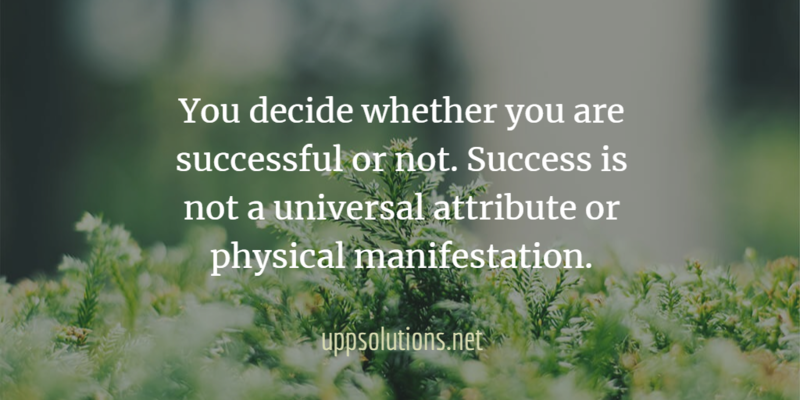 You decide whether you are successful or not. Success is not a universal attribute or physical manifestation – regardless of what advertising would like you to think. You decide what success thinking feels like and looks like. Unfortunately, most people get caught up in the whirlpool of lack-mindedness. Instead of focusing on what you DO have, you constantly focus on what you DON’T have. That is ‘lack-mindedness’: you are obsessed with what you lack. It actually a crazy way to think and we weren’t always like this! Around 1954, when TV became popular in most middle-class homes, phycologists noted that people expressed a feeling of ‘lack’. People began to compare themselves to what was on TV. Suddenly Americans were acutely aware of the difference between their lives and what was on popular zit-coms. Comparisons (and assumptions) were made from what people wore, drove and where they lived. Fast forward to modern society. Today you are constantly bombarded with images of what you ‘should’ have from almost everywhere. You can’t even put gas in your car without advertising blaring from the gas pump. Almost every app includes advertising designed to show you what you are interested in. Is there any wonder we are obsessed with acquiring things? Are You Stuck in the Whirlpool? The lack-mindedness brainwashing begins in early childhood through visual media, school, and probably well-intentioned parenting. Your parents probably expected you to go to college so you can get a nice job, get married and live in a nice house so you can produce (hopefully) nice children. You’ve had your idea of success defined for you since you were born! The result: you went to college, got the job to pay off college (and the nice car). You have to dress nicely in the right clothes to find the right mate. Then you and your mate bought a nice big house in the right neighborhood. Congratulations, you’ve met the expectation of success! So, why is it that you feel like something is missing and you aren’t really all that happy? Thanks to faux success and lack-mindedness: you’re trapped in the whirlpool. You really wish that you could just relax and do what you love to do instead of your current job. But, you know you can’t afford to take a cut in pay because you have too much to support! To top it off: you are constantly comparing your life to the ‘ideal’ of success. Our society has certain expectations of how you should look, what car to drive or what accessories you must have. We live in a culture of comparison. We look at what we have and, instead of thinking “wow, I’m lucky!”, we think; “Gee, I wish I had ____”. We should be grateful. Unfortunately, we are frustrated because we aren’t as good looking, don’t have as much money, wear better designer clothes, drive a better a car or have the same luxurious vacations as other people. Instead of buying a book that helps you visualize how much money you will make or buying into some ‘get-rich-quick’ scheme, try this: Develop an Attitude of Gratitude. Keep a Journal. Keep a gratefulness log and jot down all the things you have to be thankful for. Instead of being fixated on what you don’t have, consider what you do have. Set Life Goals. Pretend that you are 70 looking back over your life, what do you want to achieve? If that’s too big, break it down into short-term goals. Work backward and see what incremental milestones you can accomplish in the near term. Prioritize Your Desires. The next time you feel like you have to acquire the next big thing or better ‘stuff’, ask yourself two questions. “Will this improve the fundamental quality of life for me or my dependents?” Second: “Will it help me achieve my goals?” If not, you probably don’t need it. Choose Friends Wisely. Be aware of the company you keep. Do they support your life goals, dreams, and do they accept your authentic self? If not: get different friends that do. It’s critical to surround yourself by people that support you and appreciate you for who you are. Success is a state of mind. 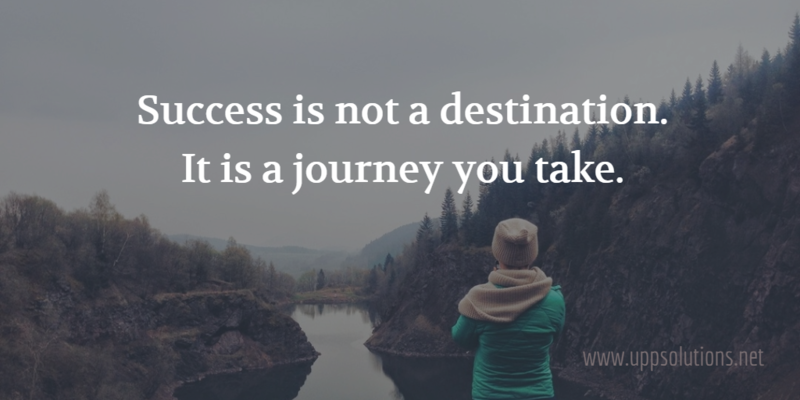 You decide if you are successful or not. Your expectations of success must be deeply personal and chosen by you, not chosen for you. You may need to take a serious look at who you are and what you want out of life. You will need to decide what is comfortable for you and what you actually need. You may also need to compromise and choose your dreams over having the latest ‘stuff’. There is no rule that success equals money. You can obtain happiness and status without blindly following society’s expectations. I also don’t recommend that you quit your job and live in a tent unless that is your dream. That also doesn’t mean that you cannot be wealthy and happy if you set the right goals. I DO recommend that you stop comparing and start appreciating. Let go of lack-mindedness and embrace the fact that you are already more successful than you realize. Erin Urban, LSSBB, is a certified professional development coach, speaker, and author with a mission to inspire powerful positive transformations. With an extensive background in leading individual, cultural and organizational change initiatives: Erin is a certified leadership development coach, Forbes Contributor, and founder of UPPSolutions, LLC. For more information, visit uppsolutions.net and connect with Erin on Facebook, LinkedIn, and Twitter.